When it comes to shopping for a new vehicle, there’s a lot you must consider. Sometimes, this task can overwhelm you because you might not know where to start. However, one of the most important aspects of any vehicle is what safety features it can offer. If you’ve got your eye on a Porsche Cayenne lease for your next car to drive in Kenner, LA, consider how it will protect you and your family. No matter how safely you drive in Kenner, LA, and obey traffic laws, you can’t control other drivers or road conditions. If you collide with another vehicle or object, you need reliable airbags to help prevent serious injury or harm to you and your passengers. The Cayenne has dual front and dual rear side-mounted airbags as well as front and rear head airbags. You’ll encounter some rough conditions on the road as you drive every day. This is why it’s important to think about safety measures to help you navigate wet pavement and other similar limitations. When you take advantage of a Porsche Cayenne lease, you’ll enjoy traction control and stability control. These additional measures will take over when you need a helping hand to keep your tires on the road. Is there a more important element of your vehicle than the brakes? You never know when you’ll need to stop suddenly to avoid another vehicle or obstacle on the streets of Kenner, LA. The Cayenne comes with four-wheel antilock brakes as well as front and rear ventilated disc brakes. Don’t forget about emergency braking assist either. This intriguing feature isn’t a fixture on all vehicles you could drive. When darkness settles, it’s crucial that your vehicle has high-quality headlights to show you the way and to alert other drivers that you’re nearby. Go for a Porsche Cayenne lease, and this SUV will deliver, letting you easily see the road ahead. It has a xenon high-intensity discharge headlamp as well as dusk-sensing headlamps. It also has the additional safety of daytime running lights and front fog/driving lights for the most challenging conditions. 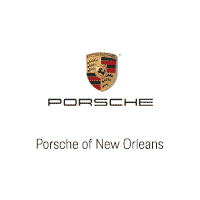 As you shop for a Porsche Cayenne lease throughout Kenner, LA, come to Ray Brandt Porsche and discuss your needs with a sales associate. Along with amazing safety features, this SUV has a host of other elements to enhance your driving experience no matter where you drive.